They blink. They cry. They yell — but they don’t get hurt. 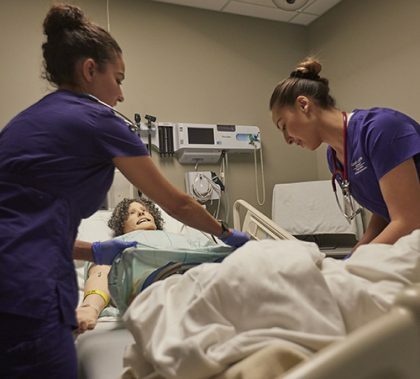 The College of Nursing and Health Care Professions’ new immersive lab features manikins (the medical spelling for mannequins) that challenge students in intense, real-life scenarios. The lab is outfitted with interactive cameras, audio, hospital rooms and a control room where facilitators can pick their poison.